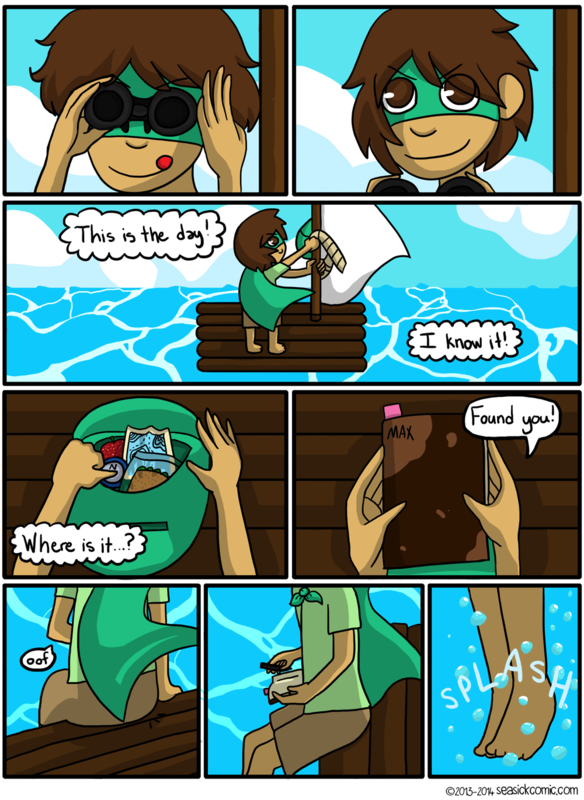 Chapter One – Page One – Seasick – The Underwater Adventure Comic. Updates Fridays! on January 12, 2014 and modified on January 13, 2014. Even though almost nobody is reading this yet, I FEEL THE PRESSURE. Now that it’s actually online I have to keep making pages to keep up my buffer, so I feel kind of rushed! Can’t imagine what it’s like for comics with big readerships. PS Max doesn’t really believe his journal can hear him, he’s just excited.